Since being a podcaster, I love to listen to other podcasts. I recently took a screen shot of my iTunes library. 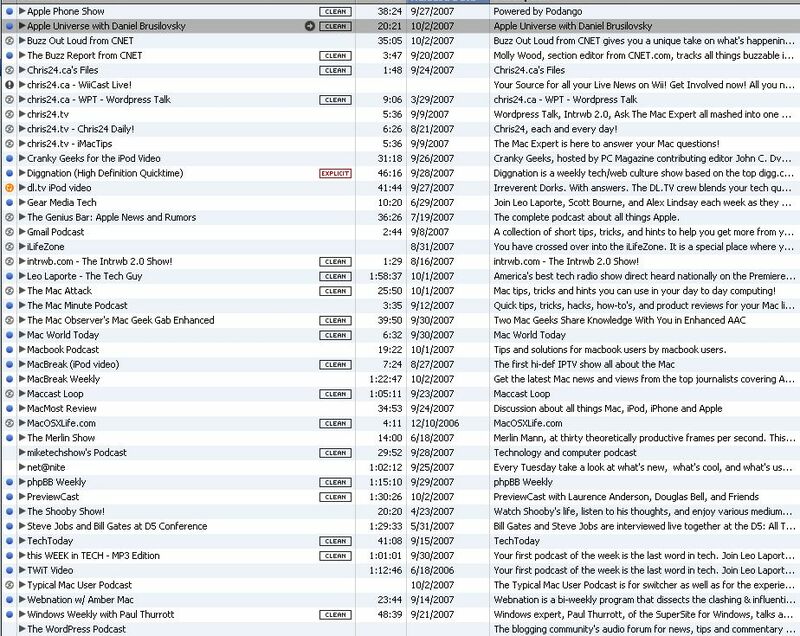 I have so far 5.2 GB’s of Podcasts, with 120 downloads to go! Previous Post Rumor: Microsoft to Debut Zune 2 Today! Wheres Blastr.tv…. Good to see Intrwb up there tho, its kinda died I think. You should add links to all of those podcasts on here so we can check some of them out. I just subscribed to your name, and those podcasts came up!